Homi Palsetia is a bestselling and acclaimed thriller writer. Living in a posh bungalow in Pali Hill, he's also single, debonair and charming male, believing only in no-strings attached relationships for fun. 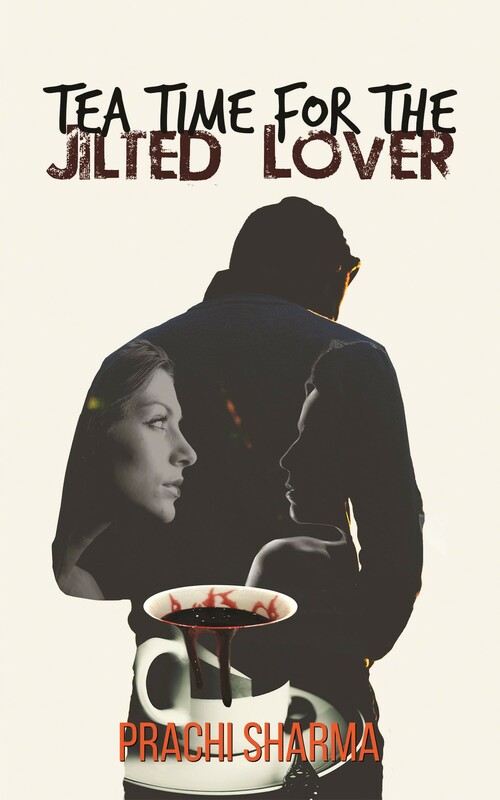 Having just released his seventh book, he feels he's being stalked by a woman who claims to be madly in love with him. He gets blackmailed on the phone, and feels someone is visiting him at night, spying on him. The media says he's faking it to promote his book. He himself can't be sure. Things get more complicated when Czech-Spanish acclaimed author Alyna Escobar, from Castilla in Spain, comes into his life. Intelligent, bold and beautiful, she challenges his ways, and makes him think about love and commitment. However, their camaraderie is threatened by the stalker, who claims to want Homi all for themselves. Is Homi actually being stalked by an obsessed fan? Or it is part of his imagination? Will he change his Casanova-like ways for Alyna? Will Alyna accept him despite his history with women? If the stalker is real, what do they want? Will the police ever catch them? Will Homi learn their identity? 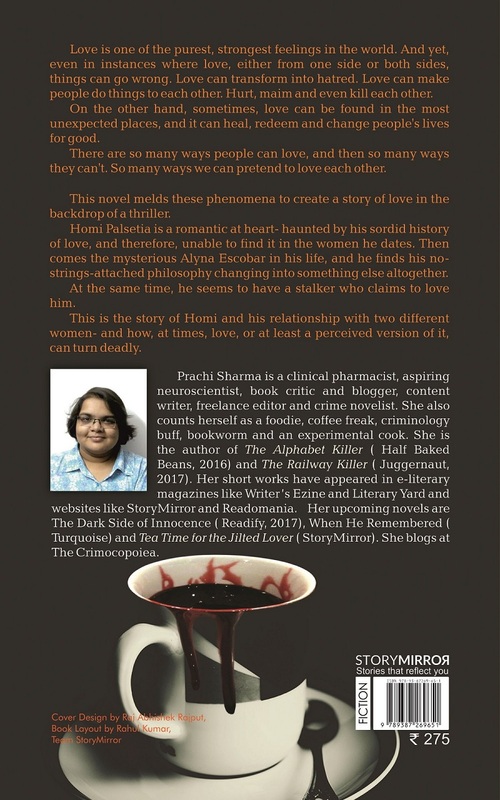 Prachi Sharma is an editor, clinical pharmacist, aspiring neuroscientist, book critic and blogger, content writer, and crime novelist. She also counts herself as a foodie, coffee freak, criminology buff, book worm and an experimental cook. She is the author of The Alphabet Killer, The Railway Killer, The Dark Side of Innocence, When He Remembered and Bloody Desires. Her short works have appeared in e-literary magazines like Writer’s Ezine and Literary Yard and websites like StoryMirror.